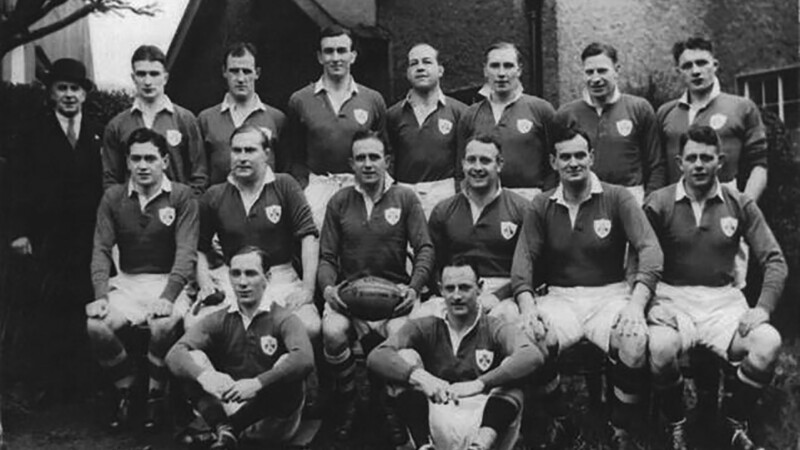 The deaths of eight Irish rugby internationals occurred during World War Two. Many others served with the armed forces and contributed to the Allied effort. The modern Irish sports anthem 'Ireland's Call' begins with the words, "come the day and come the hour". In 1939, that call came with the outbreak of World War Two and many players made the move from the touchlines to the frontlines. The Commonwealth War Graves Commission lists the deaths of 8 Irish rugby internationals during the Second World War. Of those, 2 had connections to Belfast, Co. Antrim. Commander Charles Francis George Thomas Hallaran served in the Royal Navy. He died in a tragic accident while trying to rescue a fellow sailor on 21st March 1941. His grave is in Belfast City Cemetery. Captain Robert Alexander served in the Royal Inniskilling Fusiliers. He died during the Allied invasion of Sicily on 19th July 1943. His grave is in the Catania War Cemetery, Sicily, Italy. Many other men made the move from the rugby field to the battlefield throughout wartime. One of the most infamous soldiers from the island was Robert Blair Mayne. Known as Paddy, his exploits with the British and Irish Lions were almost as legendary as his time as a founding member of the Special Air Service. Robert Blair Mayne was born on 11th January 1915 in Mount Pleasant, Newtownards, Co. Down. He would go on to help set up the Special Air Service or SAS. If you enjoyed this post on "Irish rugby internationals in World War Two", please share with your friends and followers. Dublin born Private Cecil Vilanou served in 70th Battalion Royal Berkshire Regiment when he died on 20th April 1942. His grave is in Belfast, Co. Antrim. On 16th March 1942, an American Liberator AL577 came down in bad weather near Jenkinstown in the Dundalk vicinity of Louth. 19 young airmen were on board.